Hello Veren, just to let you know, I love reading your blog post. There is always something good behind it. Idk, but I think you are delivering something positive in every single post. Anyway, I'm your reader since you were still in high school and I adore you ever since. Though this post is short, but you have a very powerful message to tell everybody. I couldn't agree more about creating positive mindset and be happy everyday. Thank You for the reminder. Happy Monday! Your awareness and resolve to be positive are wonderful. I can learn from what you wrote. I love the outfit you wore to work! 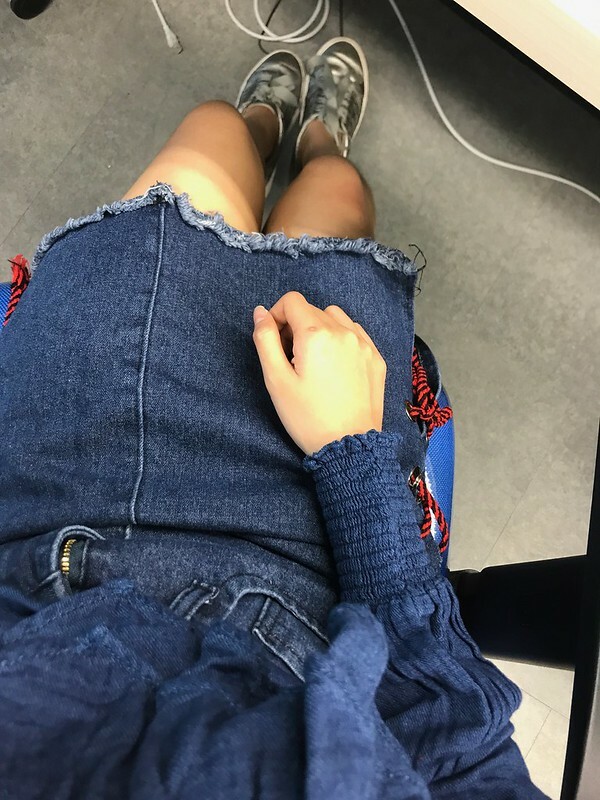 The ruched cuffs of the sleeves of your blouse and your blue denim skirt look pretty styled together and very fashionable.